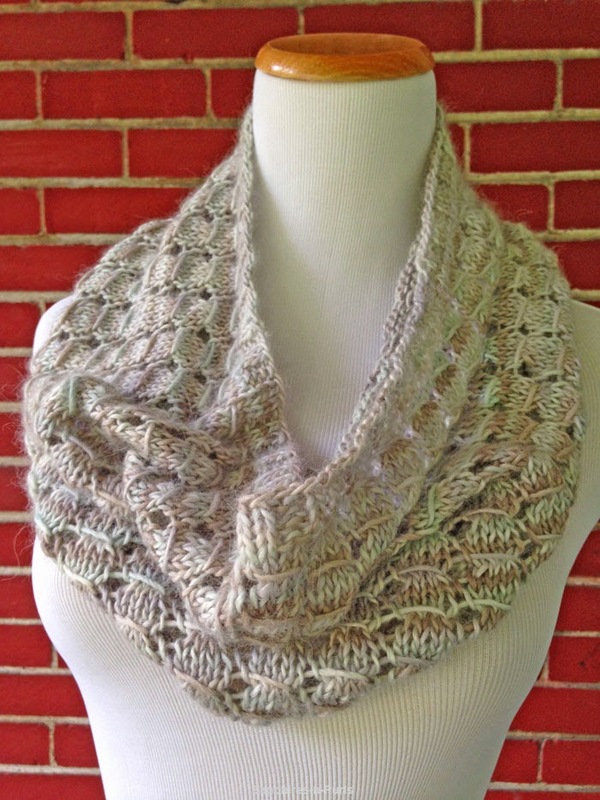 Celeste Cowl - New Knitting Pattern! This is an easy lace pattern that takes only one hank of my Triple Luxury DK yarn, or you may substitute 3.5 oz / 252 yds of a similar yarn. Sample was knit with the color Forest Dusk. The finished size after blocking is appx. 30"x12". Notes are given for making the cowl larger. You will need to be comfortable working in the round on circular needles, know how to knit, purl, yo, slip/pass slipped stitches over. You will need a 24" US size 8 circular needle, a stitch marker, yarn needle for weaving in loose ends, and wool wash or gentle soap (optional). Pattern is written with a chart for the main stitch used. Click HERE to purchase the pattern and yarn.